A bed bug infestation is complicated to get rid of and is one of the most frustrating things to experience. They breed incredibly quickly and their effect on those in the home can be devastating. Not only can they cause allergies and intense itching, but they can also cause psychological problems due to how overwhelming they are and also how much discomfort they cause. However, bed bugs are a difficult pest to remove. Should a single female survive, they can lay up to 1-2 eggs per day which will continue growing the horde. The eggs are tiny and almost invisible to the naked eye unless you have magnification or have seen them before. The eggs also adhere to surfaces, meaning they can be in small places that are hard to reach or see. Bed bugs typically hatch in about a week’s time, so even if there’s a day or two where the bed bugs have disappeared, they may come back very soon and cause a whole host of problems. That’s why removing bed bugs should be one of the top priorities in your home should you encounter them. If you’ve noticed bed bugs around or simply seen signs of them, then it’s a good idea to contact us as soon as possible so we can start the process of removing those bed bugs. What is Our Approach on How to get Rid of The Bed Bug? Our approach is a systematic one. We don’t consider treating a bed bug infestation as a single event. We won’t talk in and treat it like any other pest infestation. In fact, we use a variety of different methods to ensure that we destroy even the largest groups of bed bugs that could be spread throughout your entire home. The most important aspect of dealing with bed bugs is being consistent in your monitoring of them. 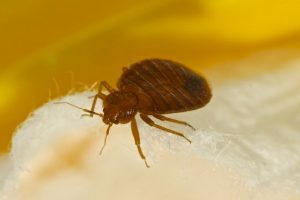 It’s important to look at how the bed bugs are spreading throughout your home, where they congregate and also where people are being bitten. For instance, we’ve seen cases where a single target is bitten dozens of times at night, yet everyone else in the home is left unscathed. 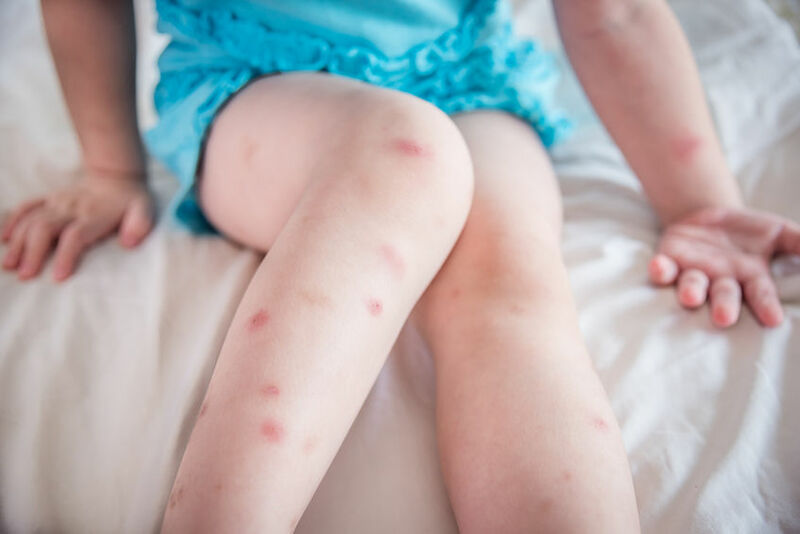 When that person moves out of the room, it can often cause the bed bugs to spread out and start biting several people at night, and we can use this information to track the behavior of the bed bugs. However, we’d never expect someone to serve as a guinea pig to keep the bugs in a single place. Instead, we make use of canines that are specialized in tracking bed bugs. 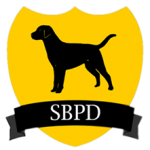 Our two canines, Piper and Brigitte, are able to sniff out bed bugs as soon as they enter your property. This means we’ll get a good idea of where the insects are hiding so we know where to start our treatments. It’s a fast and effective way to deal with the pests, especially considering how small they are and also how tough it can be to lure them out. The insects feed only on blood. Their sight isn’t very good, but they’re attracted to carbon dioxide, making humans a prime target when they’re sleeping. This means it’s rare to ever see a bed bug during the day and they’ll only appear at night. With a canine unit to help us, we can locate these bed bugs and bring them out of hiding, revealing their hiding spots so we know where to apply our treatments. Even after we perform our initial treatment, the job isn’t over. As mentioned before, we don’t consider removing bed bugs to be a single event–it’s a long and involved process and monitoring the bed bugs and their activities is important. Since eggs can take a while to hatch, it only takes a single egg or bed bug to survive before you’re met with another infestation. This is what makes bed bugs so resilient and it’s also what causes the majority of issues when attempting to exterminate them. Our monitoring process can provide accurate results to ensure that the bed bug infestation has completely been removed from your home. As the situation develops, our technicians and experts will continue to develop their strategies to help you deal with your bed bug problem. No two problems will ever have the same solution, and we’ll constantly adapt our methods to ensure an efficient and stress-free bed bug extermination. So if you’re tired of fighting a losing war against these violating bugs, contact us today to set up an appointment and get rid of bed bugs the correct way. Wow! Who knew bed bugs were so insidious! This is amazing information! I wanted to thank you, also, for the follow on my blog. You’re so kind to do so! I had a passenger get them on a plane once…transference. Nasty!